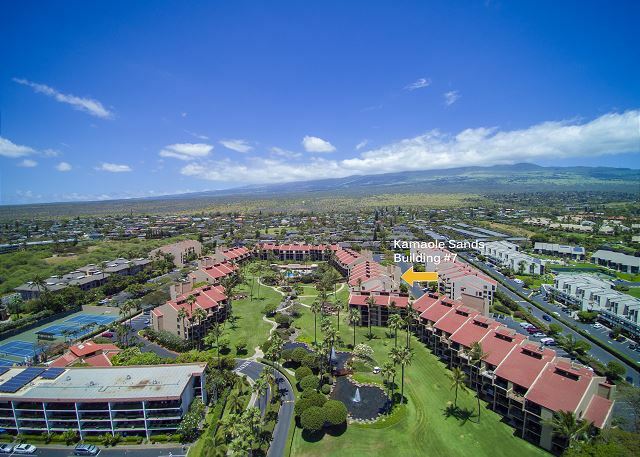 The unit was clean & spacious, and conveniently located in the heart of Kihei. 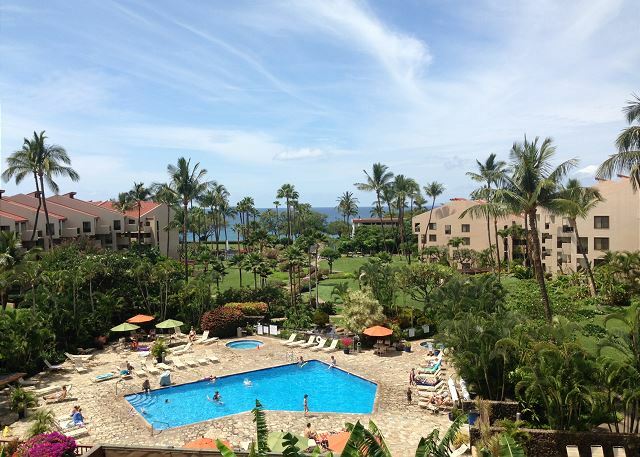 Loved having our morning coffee on the Lanai. The bed was very comfortable. Beach chairs and beach towels were provided, and it was so convenient having a washer/dryer. Can’t wait to comeback! 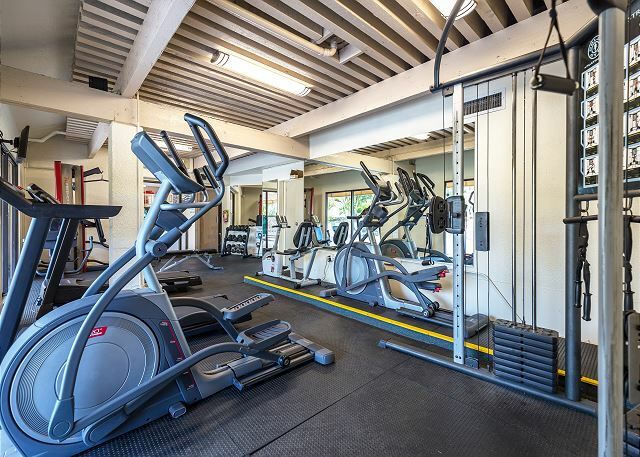 The parking and condo were conveniently located within walking distance to the beach, tennis courts, BBQs and local emenities. We enjoyed the very large condo balcony which overlooked the fabulous grounds and 3 water falls. Our twice invited breakfast guests commented on the size of the balcony and comfortable furniture. The places of interest and fabulous shopping areas within easy driving distances were a bonus. Our First Trip to Hawaii - Excellent! 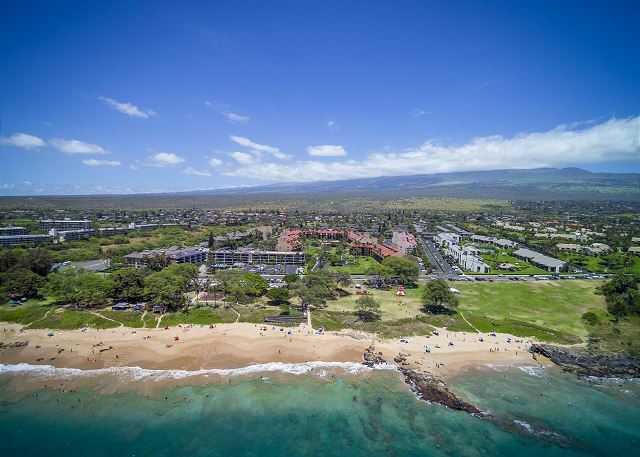 We had heard good things about PMI from friends and after looking at hotels all over Maui, we decided to give them a try. The booking was very professional on line and we were very confident that all would be well when we got there. It was. Beautiful property and condo. The only glitch was that we could not get on WIFI until we had the front desk call to release it. Everything else was great. We had a relaxing stay and we found good restaurants close by. 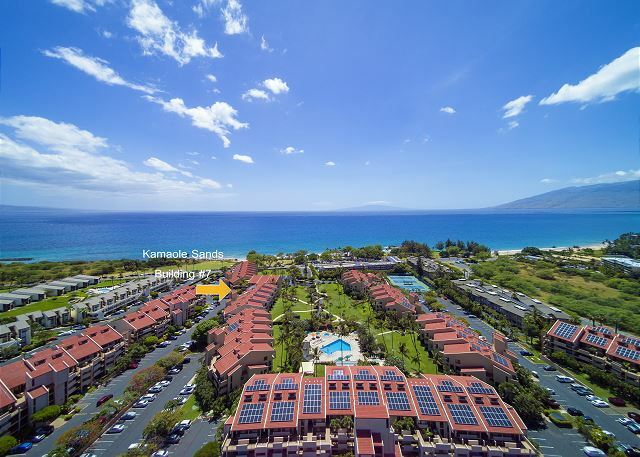 Our recent stay in unit 7-205 at Kamaole Sands was very nice. Our main reason for selecting this particular unit was for the twin Murphy beds in the living room so that our 2 teenagers would have their own beds. They were handy & very easy to use. The only downside was that the living room blinds did not block out the morning light very well. Also, there was no A/C in that room, so rather warm for them. Otherwise, the condo was clean and the kitchen was fairly well equipped. (the knives need sharpening) The unit was well-stocked with beach gear, although the beach chairs might need replacing as the straps and zippers are broken on most of them. But great to have chairs, umbrella, toys, boogie boards, towels, etc. We had a small problem with the lanai screen door, but it was fixed very quickly after we placed a call about it. 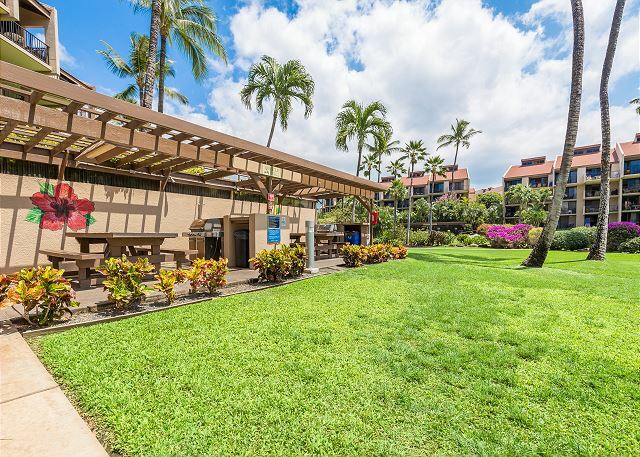 The other great feature of this unit is the large lanai and patio furniture - it was nice to be able to have the room to eat our meals outside every evening. We really like building 7 and were happy with our stay in 205. Great company to deal with! Condo was in perfect condition and had most of the supplies we needed for our stay there including condiments in the kitchen and even a playpen! Would definitely recommend. This condo was very clean, well equipped and close to all amenities. We truly felt very comfortable and at home. 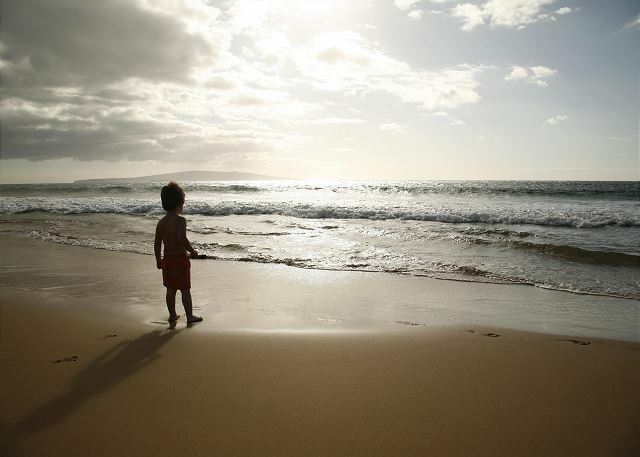 The location is excellent, the gardens stunning and easily accessible to beautiful beaches. 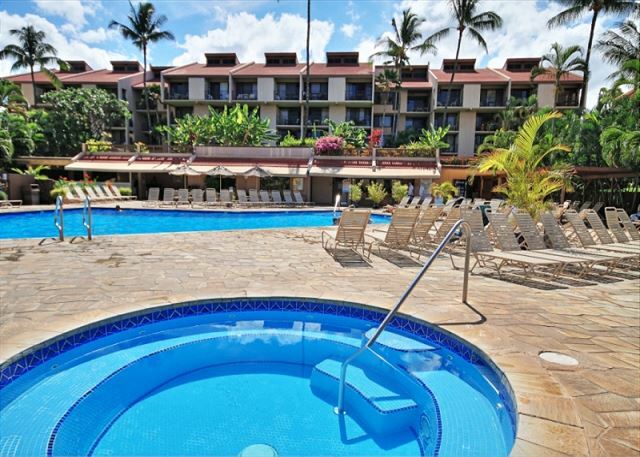 Maui never disappoints and either did this condo. We have stayed at the Kamaole Sands many times before but the twin murphy beds where perfect for my kids who don't sleep well together. The large Lanai is where we spend most of our time and the chairs were so comfortable my husband was caught sleeping out there a few times. 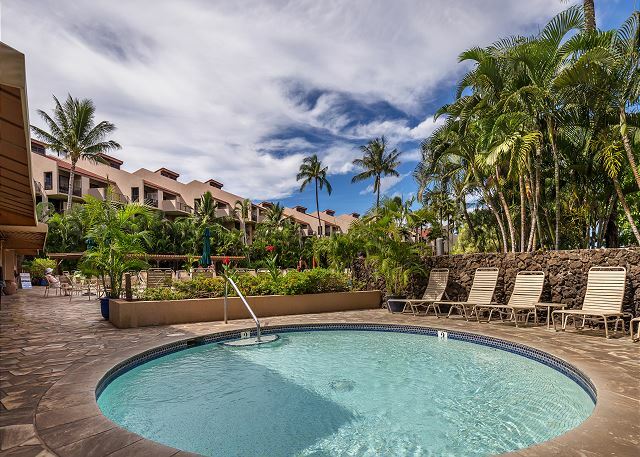 The condo was clean, we would book this condo again next year just for my kids to have a comfortable sleep in their own bed and the large lanai!!!!!! We stayed in Bldg.#7 Unit #205. The unit was as advertised. It was clean and had everything you would need to eat in if you wished. We did not. The property is very well located and well maintained. The large lanai was a real plus. The condo was very clean, it was wonderfully decorated and had every amenity you could want. The location was the best ... close .. but not TOO close ... to the pool and the garden view was beautiful. The lanai was mainly in the shade which for us was optimum.